The Department of Physics & Astronomy is home to nearly 100 undergraduate majors and 90 graduate students. Students can pursue studies for bachelor's, master's, and doctoral degrees. The Department also serves students in STEM fields as well as allowing students to fulfill ACE requirements through general physics courses. Department faculty are highly engaged in impactful research. Physics & Astronomy staff are part of an inclusive Big Ten university, and their contributions to science and research are worldwide. Faculty research draws in grants totaling over $16 million annually. Our professors also provide quality instruction, garnering several teaching awards and professorships. Faculty and students are supported by Main Office and Business Office staff, an electronics shop, and an instrument shop (in conjunction with the Department of Chemistry). At the Department of Physics & Astronomy, our students get experience working in three subdisciplines of physics. Atomic, Molecular, Optical and Plasma Physics is the primary testing ground for quantum mechanics, our basic theory of the physical universe. Our 100 terawatt laser offers the highest combination of peak and average power of any laser facility in the U.S. It permits unique studies of ultra-high intensity laser-plasma interactions that cannot be performed anywhere else in the world. Our Condensed Matter & Material Physics group creates and studies novel nanomaterials to understand why materials behave differently when they become small. Close collaboration between theorists and experimentalists offers students the opportunity to study fundamental phenomena, as well as potential applications in fields such as magnetic recording, quantum computing and medicine. 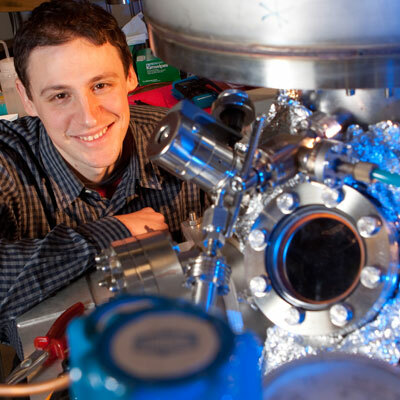 Our Experimental High Energy Physics group studies the most fundamental constituents of matter. 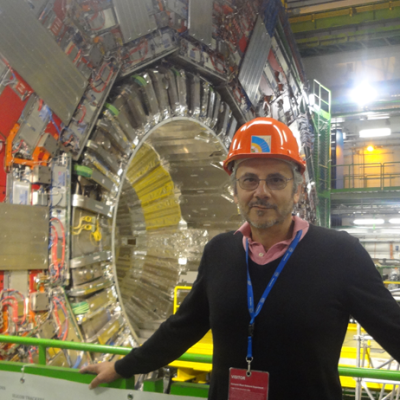 The HEP group plays a leading role in the CMS experiment operating at the Large Hadron Collider at CERN in Geneva, Switzerland. Nebraska faculty participated in the discovery of the Higgs boson and are developing instrumentation and computing facilities for the experiment.